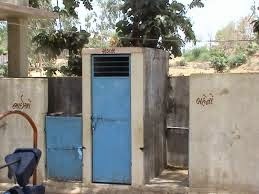 A just-released report, the Union ministry of drinking water and sanitation has found that Gujarat has faltered in meeting annual implementation plan (AIP) target for the constructing toilets in schools in rural areas. The report, which is actually a detailed agenda note for review meeting with state principal secretaries/ secretaries in charge of rural sanitation, scheduled for August 25, has said that in the financial year 2013-14 Gujarat achieved just 24.3 per cent of the AIP target as against cent per cent by Kerala and Rajasthan, 60.5 per cent by Karnataka, and 51.6 per cent by West Bengal. The all-India average for meeting the AIP target was 48.4 per cent. In the year 2014-15, the report states, as of July 2014, Gujarat’s achievement for constructing toilets in schools has been zero. 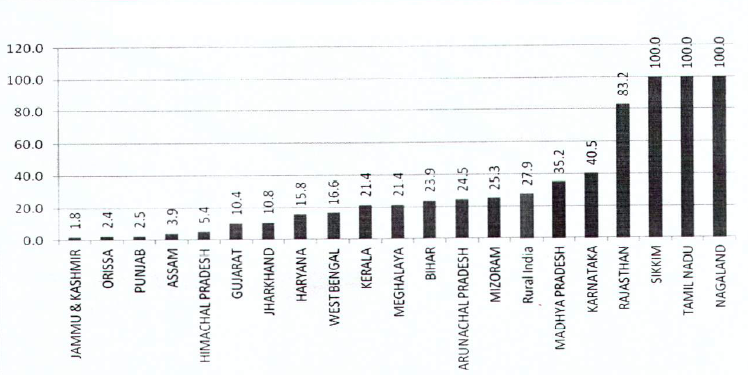 The report regrets, Gujarat happens to be one of the dozen-odd states which haven’t been able to meet even the national AIP average for 2014-15, which is 4.2 per cent, for toilets in schools, nor has it achieved the 100 day target. Other states with poor performance in meeting the 100-day target are Jammu & Kashmir, Madhya Pradesh, Odisha, Assam, Himachal Pradesh, Tamil Nadu, Kerala, Bihar, Jharkhand, West Bengal and Uttarakhand. Worse, the report states that Gujarat could meet just 10.4 per cent of the AIP target for constructing toilets in anganwadis in rural areas, as against the all-India average of 27.8 per cent. Tamil Nadu met cent per cent targets, followed by Rajasthan 83.2 per cent, Karnataka 40.5 per cent, and Madhya Pradesh 35.2 per cent. The report underlines, “The maintenance of school and anganwadi toilets is a major issue”, and to achieve the targets, the report underlines, states much attract corporate social responsibility (CSR) funds, apart from tapping on government sources. The report is based on the data provided by the Nirmal Bharat Abhiyan, a flagship programme begun by the previous UPA government. The report says, the states which have failed to achieve their targets under Nirmal Bharat should accelerate the pace of implementation as they are registering “slow progress.” It points out, the Prime Minister wants that “all schools will have to be provided with for separate toilets for boys and girls by August 15, 2015”, adding, all states should make plans in order to achieve the target, and may submit requirements for this. The poor achievement in constructing school and anganwadi toilets in rural areas of Gujarat, however, has been offset by the state’s excellent performance by achieving cent per cent target in 2013-14 in the construction of toilets in individual households, the data suggest. 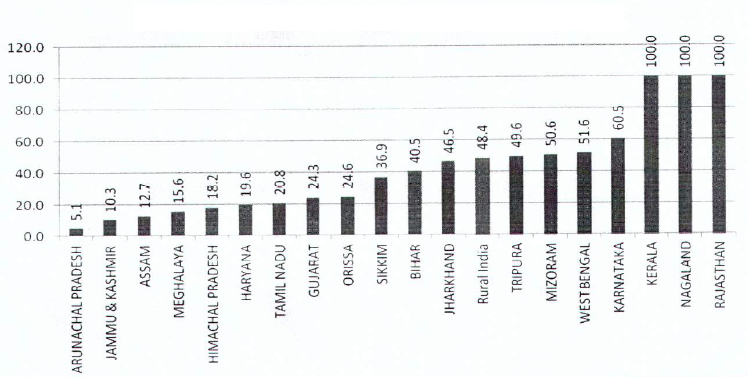 Another state, apart from Gujarat, which achieved cent per cent target is Karnataka. In 2014-15 (till July), too, the report suggests, Gujarat has performed reasonable well by achieving 10.3 per cent of the target as against the all-India average of 3.7 per cent. The report gives data from three different sources of the per cent of individual households having toilets in rural India. Thus, according to the Census of India 2011, Gujarat’s 34.24 per cent of individual households had toilets, as against the all-India average of 32.67 per cent. According to the 2012 National Sample Survey, 41.3 per cent Gujarat households had toilets, as against national average of 40.6 per cent. And, as per the rural sanitation coverage baseline survey (2012-13), 52.75 per cent Gujarat households had toilets, as against the national average of 40.35 per cent.